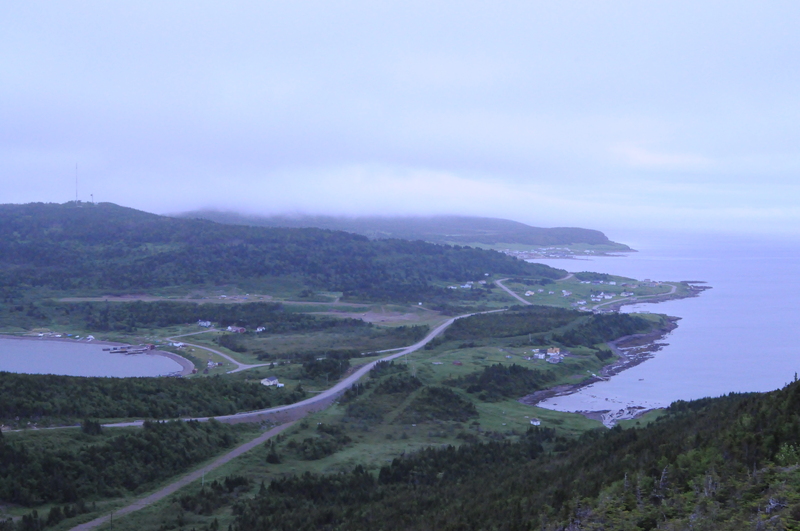 Saturday, July 16, 2011 – The view from Sailor Jack’s Hill gives a powerful showing of the winding road leading to the Town of Conche. The stairs may be a little intimidating but are certainly well-constructed. My Swiss friend climbed them at record pace as she was quite excited to see so many icebergs to the right. 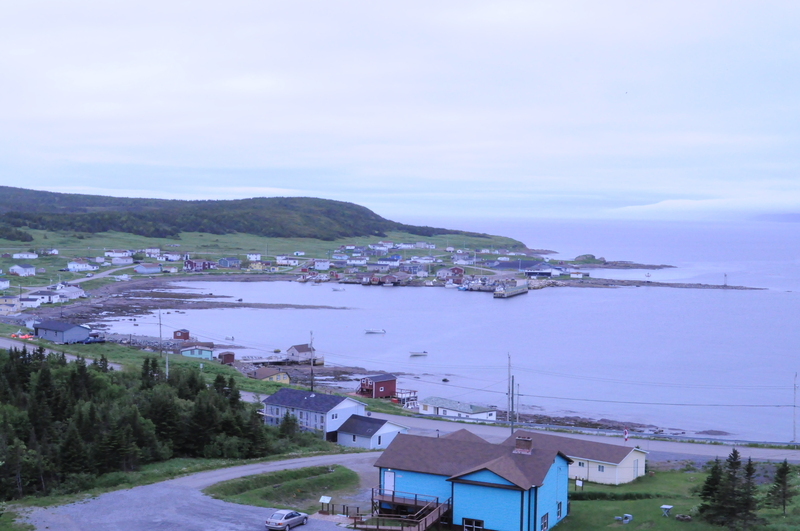 There are an abundance of icebergs in St. Anthony and St. Lunaire-Griquet. 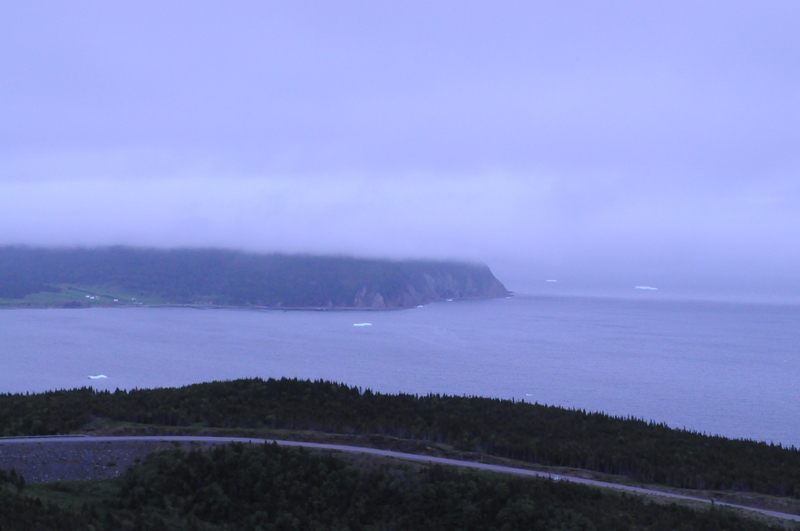 However, they can be easily spotted on the Northern Peninsula East nestled just outside of Conche. I have been to the French Shore many times over the past couple of years. I usually make the loop from the Straits to Plum Point – Roddickton-Bide Arm – Englee – Conche – Main Brook – Straits. It is a full day, but each visit offers a unique experience. Although I have travelled many countries, there is something amazing about experiencing the beauty and offering of what you have in your own backyard. 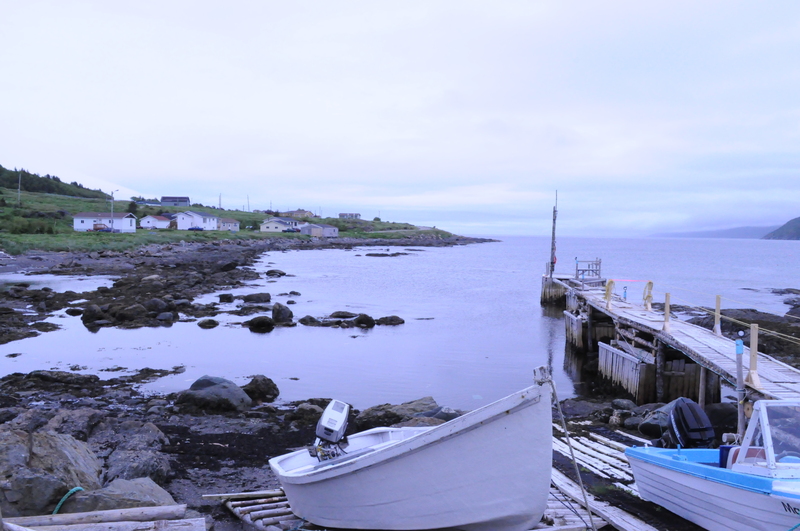 If you are just visiting, spend lots of time on the Great Northern Peninsula, as it has so much to offer. If you are lucky enough to live here – it is a lifetime of experiences. The French Shore is one of many places to add to your list. If you’d like more information visit www.frenchshore.com. Posted on July 20, 2011, in French Shore, Landscapes/Geography and tagged French Shore, Great Northern Peninsula, Iceberg, L'Anse aux Meadows, Main Brook, National League, Newfoundland & Labrador, St. Lunaire – Griquet. Bookmark the permalink. 4 Comments. 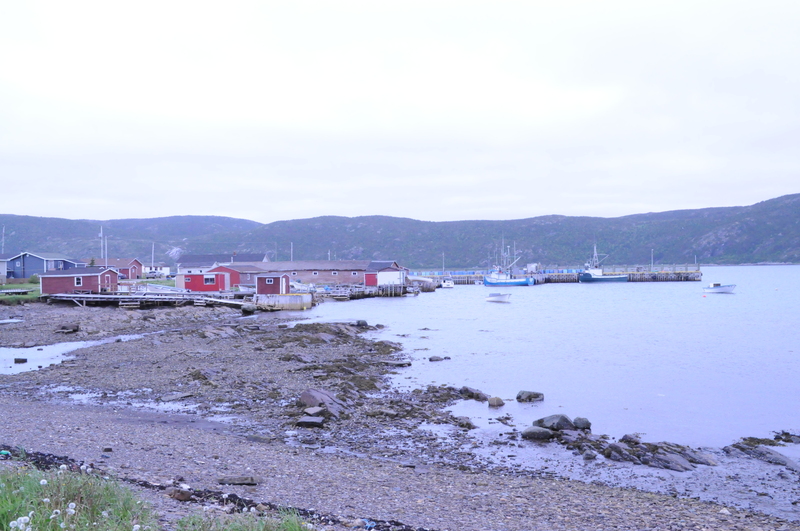 Main Brook is in Hare Bay and all of the icebergs from St. Anthony float by our Bay so we have lots and lots of hugh icebergs. Be careful if your in a small boat today cod fishing that is if you go near the bergs. 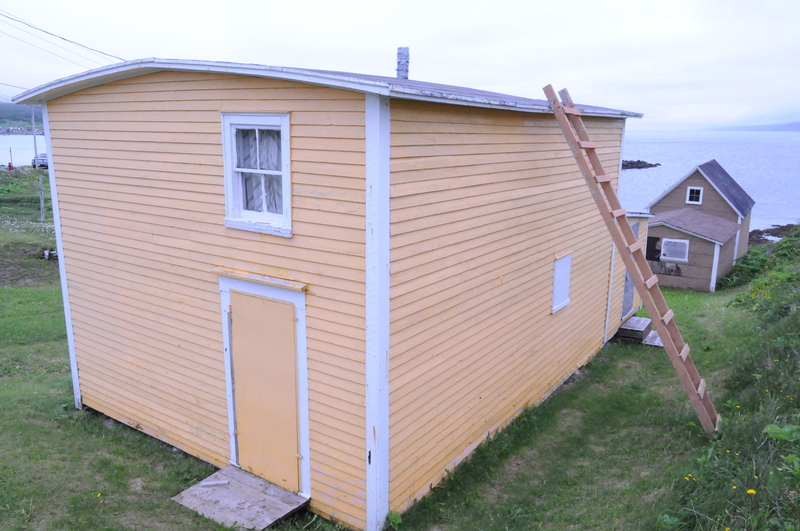 Thanks Christopher for bringing rural Newfoundland to Life. I love your site. Tks for taking care of us.